Are the Chinese people alone now? 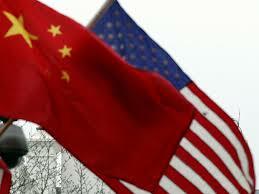 Over the last three weeks, the Obama administration has sent three clear signals to the Chinese leadership. First came the news that Chas Freeman would chair the National Intelligence Council. The former U.S. ambassador to Saudi Arabia and an adviser to CNOOC (the state-owned Chinese oil company), Freeman clearly fits the Chinese Communist party’s idea of a four-year plan for American intelligence oversight. Just note Freeman’s curious 2006 statement about the Tiananmen massacre. It is unacceptable “for any country to allow the heart of its national capital to be occupied by dissidents intent on disrupting the normal functions of government, however appealing to foreigners their propaganda may be.” That particular trope was originally laid down by Henry Kissinger, and it’s considered safe for public use. Freeman, though, took the argument to its logical conclusion, condemning the “ill-conceived restraint” and “overly cautious behavior” of the party leadership. I thus share the hope of the majority in China that no Chinese government will repeat the mistakes of Zhao Ziyang’s dilatory tactics of appeasement in dealing with domestic protesters in China. It’s not hard to predict what line the intelligence community will take on China’s military buildup (or another Tiananmen) under Freeman’s leadership. The Chinese will score their number two victory with Gary Locke, former governor of Washington, becoming our new commerce secretary. Locke’s been a very–very!–good Friend of China: making public displays of affection for the party’s brilliant stewardship, carrying a torch for China in the Beijing Olympics relay, and easily straddling his public and private interests to make a deal. Locke has paraded his guanxi–his connections–and, indeed, his numerous meetings with Hu Jintao are real. As are the campaign funds he got in the 1990s through Buddhist temple fundraisers, Chinese cut-outs, and confessed felon John Huang. This may have knocked Locke out of contention for a spot on the Gore 2000 ticket, but apparently it was of little interest to Obama’s third-time-lucky vetting staff in 2009. To complete the hat trick, Secretary of State Hillary Clinton made a seemingly offhand comment on the eve of her recent trip to Beijing. Discussion of Taiwan, Tibet, and human rights would be “on the agenda,” she said. But “We pretty much know what they are going to say.” Some commentators have labored to present those words as refreshingly plainspoken. Bringing up human rights to the Chinese government is just an empty ritual the argument goes, and America has larger interests at the moment–China’s purchase of treasury bonds, a “partnership” on green technologies–which speak to a much broader, “global” definition of human rights. But rituals, and the spirit in which they are carried out, matter very much to the Chinese leadership. Chinese citizens, particularly those who dissent, pay close attention as well. Even if Clinton has tired of Chinese human rights (in the old-fashioned definition, where people are tortured to death and so on), the act of unilaterally agreeing to ignore an actual source of tension between our two societies represents a notable change in U.S. policy. The repercussions will extend far into Taiwan, China, and America. Taiwan, in particular, faces trouble. China’s internal crisis of collapsing exports and exploding unemployment would squelch any tendency toward foreign adventurism in most societies. But the Chinese government remains perfectly willing to go to war if they can unify the population and extend the party’s control. Its objectives are clear. It wants to prevent Taiwan from being becoming the locus of the Chinese diaspora’s resistance. The Chinese reward Taiwanese single-party rule with economic favors to prevent any onset of the democracy cancer when Taiwan is absorbed into the Chinese bloodstream. The current Taiwanese leadership is playing into the scenario by expanding economic contacts, attempting to wring the last Renminbi from the mainland, while intently working over their discredited opposition party to the last man. As the first viable Chinese democracy in history drifts into genuine peril, it cannot rely on the U.S. president who appears to dislike even using the D-word and needs Chinese cash for his own internal adventurism. The Chinese have an estimated $2 trillion in foreign exchange reserves. On the mainland, the Obama administration is giving the party a free hand exactly when they need it. The party must keep disparate forces–labor groups, Falun Gong, Christians, democracy advocates–isolated from one another. The tool is surveillance–using the Internet, phones, indeed, any electronic device that can track humans. (Many of these technologies originally came from American companies.) Once dissenters are arrested, the party needs to squelch any legal defense. Dissident lawyer Gao Zhisheng, freshly out of detention after severe torture, recently disappeared again. Organ harvesting–particularly if the liver, kidneys, and corneas are surgically removed while a prisoner is alive–creates a foreign currency stream for the military. For the Chinese state it also solves a problem: Approximately 100,000 incarcerated Falun Gong, and an unspecified number of Eastern Lightning (Christians) will not give up their beliefs. Release is impossible; they are dangerous enemies of the state. In the marriage of the New China’s capitalism and the party’s unchanging authoritarianism, organ harvesting has become a profitable form of barbarism. The last time an administration gave such an explicit green light to the Chinese leadership was three weeks after the Tiananmen Square massacre. George H.W. Bush sent National Security Adviser Brent Scowcroft and Deputy Secretary of State Lawrence Eagleburger to Beijing to reassure the Chinese. Again, the message was that human rights and democracy didn’t really matter, only business, only partnership. (That Scowcroft had to deliver it in secret, though, is another sign of how far things have deteriorated.) When this became public some months later, many conservatives broke ranks and some liberals joined them in creating a firestorm of criticism for the administration’s policy. And today? Nancy Pelosi cut her teeth on China human rights, but she won’t break ranks without sustained pressure. Amnesty International has made some noises about Clinton’s comments. To a lesser extent, so have Freedom House, Reporters Without Borders, and Human Rights Watch. But it’s not nearly enough. And where are the AFL-CIO, the academy, and the sweatshop coalitions? Human rights in China. Democracy in China. These are things that the Obama administration wants nothing to do with. Are the Chinese people on their own now? Ethan Gutmann, an adjunct fellow at the Foundation for Defense of Democracies, is completing a book on the conflict between the Chinese state and Falun Gong.